Should regulations for environmental protection be valid beyond our solar system? Currently, extra-terrestrial forms of life are only deemed worth protecting if they can be scientifically investigated. But what about the numerous, presumably lifeless planets whose oxygen atmospheres open up the possibility of their settlement by terrestrial life forms? Theoretical physicist Claudius Gros from Goethe University has taken a closer look at this issue. On earth, environmental protection has the primary goal of ensuring the availability of clean water and clean air for human beings in the future. Human interests usually take also precedent when it comes to protecting more developed animals and plants. Lower life forms such as bacteria, on the other hand, are considered worthy of protection only in exceptional cases. 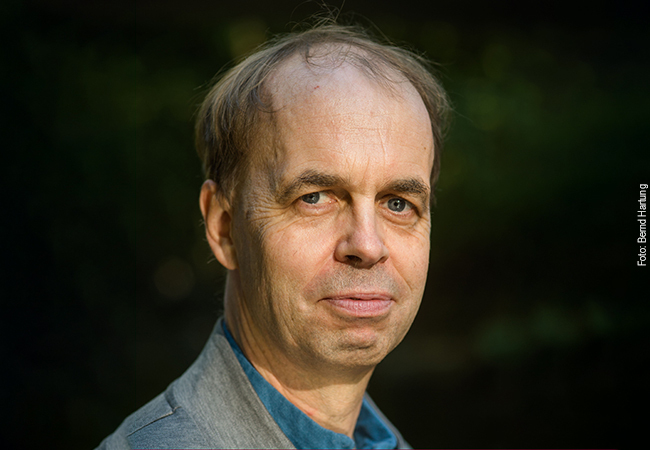 Claudius Gros, professor for theoretical physics at Goethe University, has now investigated the degree to which the norms for the protection of planets can be derived analogously from issues that arise in environmental protection on Earth. The international COSPAR agreements on space research stipulate that space missions must ensure that any existing life – such as possibly on the Jupiter moon Europa – or traces of previous life forms – perhaps on Mars – are not polluted, so that they remain intact for scientific purposes. The protection of extra-terrestrial life as valuable in and of itself is not stipulated. The COSPAR Guidelines apply to our solar system. But to which extent should they be applied to planetary systems beyond our solar system (exoplanets)? This will become a relevant issue with the advent of launch pads for miniature interstellar space probes, such as of the type in development by the “Breakthrough Starshot” initiative. Gros argues that the protection of exoplanets for the use of humankind could not be justified. Apart from fly-bys, we could carry out scientific studies only with space probes able to slow down in an alien solar system. Using the best technology available today, this would require magnetic sails and missions lasting thousands of years, at the least. According to Gros, the protection of exoplanets would also be irrelevant if these planets were lifeless, even if they were otherwise habitable. This probably includes planet systems such as the Trappist-1 system, whose central star is an M-dwarf star. Planets orbiting in the habitable zone of an M-dwarf star have a dense oxygen atmosphere that was formed through physical processes before cooling. Whether life can develop on such planets is questionable. Free oxygen acts corrosively on prebiotic reaction cycles, which are considered prerequisites for the origin of life. “Whether there is another way for life to form on these oxygen planets is an open question at this time,” says Gros. “If not, we would find ourselves living in a universe in which most of the habitable planets are lifeless, and thus suitable for settlement by terrestrial life forms,” he adds.